Baby sleep soothers (and there are many on the market) can make all the difference between a good night’s sleep or another all-nighter of rocking, singing and swaddling. You’ve sung every lullaby in the book, tried bouncing, mobiles and dimly lit rooms with temperatures perfectly calibrated to induce sleep, but you may not realize the power of white noise for babies . Designed to mimic the surprising loud environment inside the womb, there are a variety of sleep soothers available to choose from. We ordered some of the best sellers and, with the good-natured help of 6-week-old Raphael, we tried and tested them out. After all, we know that if you’re like most parents of a new baby, you would do pretty much anything to get a good night’s sleep. Here’s a look at the top 5 best baby sleep soothers on the market. When it comes to baby sleep soothers , the BabyShusher really does feel like a miracle. In fact, its rhythmic shushing sounds so much like a human saying “shush” that my mom (on the phone) marvelled at my ability to shush and carry on a conversation at the same time. This white noise machine easily snags first place — because it works. Having tried many, my baby voted hands down for the BabyShusher; it would promptly calm his crying and send him off to the land of Z’s. (Apparently, the shushing sounds just like the womb as well). It’s small, light (3.2 ounces) and easy to take with you on the go. Plus, it has a modern, sleek design so it won’t be an eyesore in your living room. Bring the battery-operated BabyShusher along with you to the coffee shop down the street or to grandma’s house. The cord makes it easy to dangle from your carseat or stroller. Priced around $35, it’s also an affordable solution. The BabyShusher has two settings - 15 minutes and 30 minutes - plus a volume control. 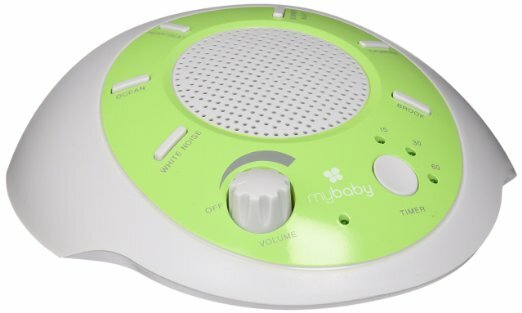 In fact, the only con we found with this white noise machine for babies is that you can’t set it to play continuously. If only we could hear that shushing all night long. If your family travels frequently and you’re looking for a highly portable baby sleep soother, the SoundSpa is a great option. It’s super small, lightweight and can be hung from a crib, stroller or carseat in a flash. Priced at under $20, there is little reason not to try it out. The sleep soother offers four sounds: heartbeat, white noise, ocean, and lullaby. The most significant advantage of the SoundSpa is that, unlike most of the other sleep soothers on the market, it has the option to play without shutting off automatically. The downside we found with this sleep machine is that it simple eats batteries. Playing the SoundSpa all night long meant we were constantly changing the 3 AAA batteries needed to power this little device. The CloudB Sleep Sheep is another fantastic and affordable sleep machine for babies. What sets the Sleep Sheep apart from other baby sleep soothers is its soft, plus design. You can place the sheep right in a baby’s crib or attach it to the outside with the handy velcro, without worrying about your baby bumping into a hard, plastic device. It’s cute, cuddly and can fit in the decor of any nursery. The Cloud b Sleep Sheep also comes in two sizes - regular and travel size (Cloud B On The Go Travel Sound Machine). We recommend the travel size so you can take it with you on outings or family vacations. The travel Sleep Sheep offers a choice of four sounds (stream, spring showers, ocean waves and the somewhat random whale sounds) The regular-sized Sleep Sheep offers eight. The waves worked best for our little one, but none of the sounds were as effective as the SleepShusher. The most significant downside of the Sleep Sheep is that it, like the SleepShusher, it will not play all night long. It has 23 and 45-minute settings. Our baby tended to wake up when the sheep stopped. When it comes to white noise machines, this Marpac is the gold standard. Used not only for babies, you’ll find the Marpac in the offices of countless psychiatrists and physicians. The Marpac is perfect for placing in the corner of a nursery (or office space) but less convenient for travel. Since it requires an outlet, it can’t be used in the stroller or car. 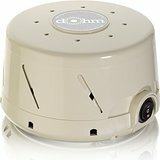 While the Marpac is a bit more expensive at around $50, the good news is that, unlike other sleep soothers, you can use this white noise machine long after your baby is sleeping through the night. Adults, too, find the noise soothing and you can hook one up in your own bedroom to drown out loud neighbors or a busy street. This sleep soother from Baby Einstein is much more than just a sound machine. 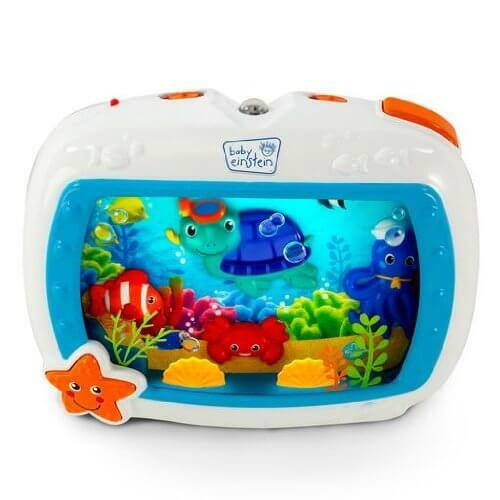 A sort of baby mobile, sleep soother and Baby TV in one, the device provides visual effects and lights in addition to 10 sounds to choose from. Another great features is that rather than simply shutting off, the machine fades every 10 minutes to encourage your baby (or toddler) to drift off to sleep. Because of its multiple functionalities, you may find that you can use the slightly pricier Sea Dreams Soother for years rather than months. Older children will enjoy the images and music long after another sleep soother would become obsolete. My 2-year-old was enamored, but I was worried the ocean scenes would keep him awake rather than lull him to sleep. It’s battery operated and only weighs one pound, so you can use it in the car and on-the-go as well. Unfortunately, it does go through batteries pretty quickly and will not fit on every crib. (Since it didn’t fit on ours, we stopped using it pretty quickly.) Some parents also find that the noises it makes are too loud to be conducive to sleep. This was a look at our 5 favorite white noise machines for babies. If you’re interested in seeing other baby sleep soothers on the market, check out some of the best sellers here .